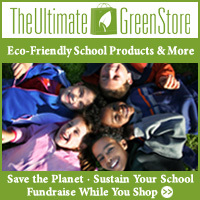 I often write about the little stuff you can do to live a greener life. But when it comes down to it, how much does all that matter? Doesn’t what the big companies do far outweigh what we individuals control? Sure. But that doesn’t mean the small stuff isn’t important. The small things do add up. A single compact fluorescent lightbulb isn’t going to make much of a difference in the carbon output of the world. 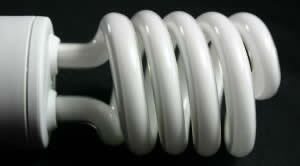 But all of us together changing over to CFLs where possible will make a difference. Still a smaller difference than many industries could make, but a difference nonetheless. And then there are all the little things you can do that will matter to your family. Buying organic, local or growing your own garden gives your family the chance to eat better foods. It’s something that can matter to you as an individual as well as be kinder to the environment. I pack my daughter’s school lunch every day in reusable containers. Do I really think it’s going to make a big difference? No, but it makes some difference. Less plastic wasted. Fewer paper bags thrown out. Better control over the kinds of foods my daughter eats. And then there’s trying to avoid BPA. This can be a tough one, since some argue whether or not it’s even an issue. The FDA doesn’t have a problem with it after all. But there’s still that potential for it to work as an endocrine disruptor. Canada banned it for that possibility. Should we do less for our families just because it’s a small effect, possibly even not an effect at all? If it’s a choice between a big thing and a little thing, of course, take care of the big things. Fortunately many of the little things really don’t take much time, and can even just be a part of your regular lifestyle.